E-FILE had been established in the Middle East as a pioneer project to provide Archiving, EDMS/ECM and Capture solutions in addition to the long experience in providing digitizing (Paper to electronic file conversion) and support services. 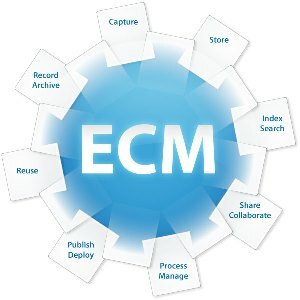 Content & Document Management Solutions..
InfiniteECM is a scalable Enterprise Content Management Solution. The system will enable the organization capturing, indexing, processing, retrieval and publishing of documents through a friendly user interface. The flexible architecture of solution makes the implementation of an Enterprise content management affordable and available. Modular design and scalability allows the solution to grow with the environment and business needs.InfiniteECM includes enterprise application integration features and wizards. This powerful capability enables organizations to easily capture, index, process, store and easily retrieve documents from the main application' interface, thus increasing the value of your existing applications by adding integration points with minimum source code modifications to retrieve and append the attached documents for each screen. For legacy windows based applications the integration can be done without any source code modifications to the existing applications. InfiniteECM supports document routing which enables users to send and receive documents in a collaborative manner to facilitate information sharing and increasing productivity. Every InfiniteECM user has a single inbox and outboxes. InfiniteECM users can send and receive documents either in parallel or serial manners and track the document (or every version of the document) as it progresses through the route designated for it. The system manager can define route templates for objections, leave requests, vacations and any other flows that require documents to pass through a certain known path. InfiniteECM also maintains a full history of the document with in the flows and records every action that occurs to the document as it pass through the route stages. Comprehensive reporting facility on each step make the process easy to track and easy to be finished with the minimum time. InfiniteECM RM is a Comprehensive Enterprise Records Management solution to identify, index, store, retrieve and track the physical records in both types 2D/3D of filing/warehouses. Using InfiniteECM RM the organizations will be able easily and safely keep and track the valuable assets movement from/to the warehouse with detailed and printable history documents for each transaction to easily locate and find any needed box/file any time. All request and movements will be issues and tracked electronically using the system without need for additional sub systems and without using the traditional time consuming paper/fax orders and delivery notices. InfiniteECM is a scalable Enterprise Intranet Portal Solution. The system will enable the organization automate the paper forms, centralize the systems' access and simplify new publishing and task/calendar sharing. The flexible architecture of solution makes the implementation of an Enterprise Intranet Portal affordable and available. System administrators can easily install and configure Infinite Intranet Portal components into their environment. InfiniteECM Portal is an Intranet employees' system that allows users to logon to all systems of the organization and to initial the electronic forms instead of the traditional paper forms. They can access the organization and departments' news and blogs, in addition to the personal calendar and tasks. InfiniteECM HV Capture is a specialized Paper/Document Capturing Software that is capable of handing scalable amount of paper documents with full customization of life cycle for accurate and high quality output. Using InfiniteECM Capture users can capture, automatically index and verify images using the quality assurance lifecycle management at very high speed with remarkable efficiency and ease of use. 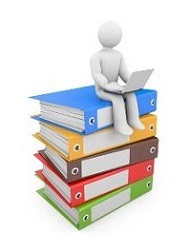 InfiniteECM Capture organizes each group of related paper batches into capture processes. Each custom-defined process of batches has a certain configurations of scanning, automatic indexing and quality assurance lifecycle management.